Click HERE to see our current list of tenants waiting to serve you! We are a pet friendly marina and retail center near world-class beaches and attractions, with several businesses in close proximity by water – The Wharf Restaurant, Fort De Soto Park, Johns Pass Village and Gators waterfront restaurant and bar to name a few. The Tierra Verde Marina is located on the north shore of the island of Tierra Verde, FL. We have a prime location that will get you to the Gulf of Mexico without waiting for any draw bridges in less than 5 minutes. From a boater’s point of view, the deep waters of the Pass-A-Grille channel make this location a boater’s paradise. The property also features a retail center with many businesses. Click on the Retail Space tab for store details and available commercial retail space. 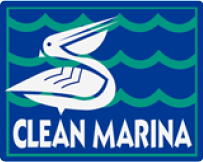 With its superior location, featured retail center, services offered to the boating community and a staff compiled of experienced fishermen and boaters with a wealth of knowledge of our local waterways offering the best customer service on the water, The Tierra Verde Marina has become one of the largest and most convenient, location wise, marina on the West Coast of Florida. Fort De Soto, Shell Island and Egmont Key are just down the street with no bridges to hinder your travels.